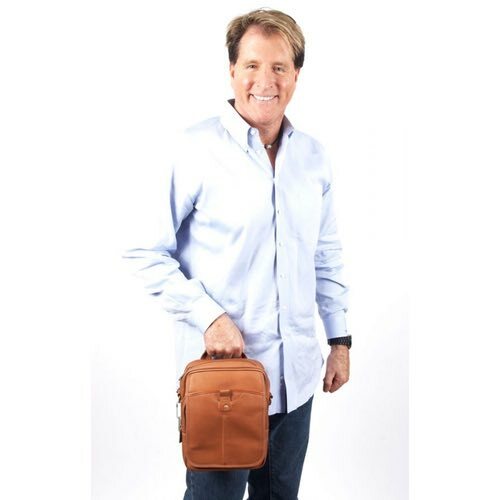 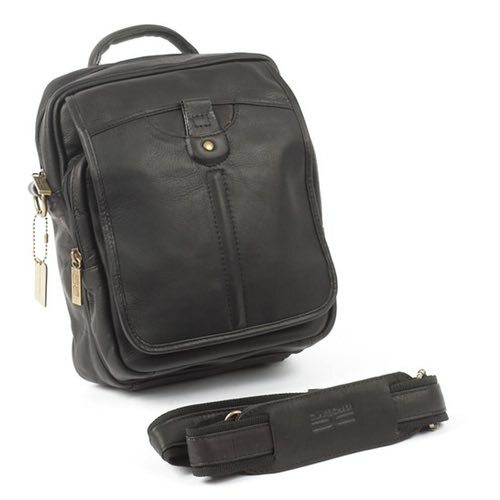 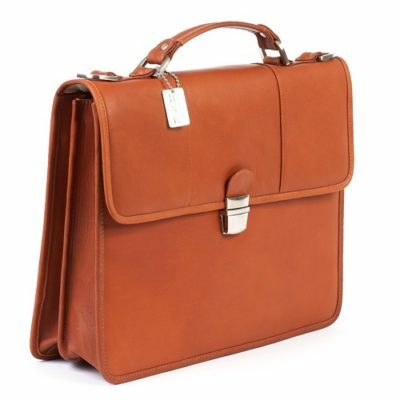 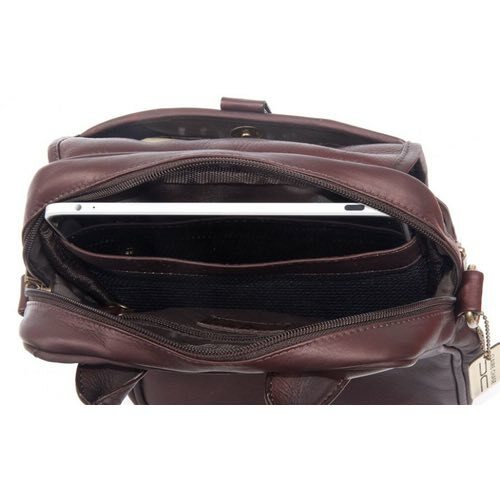 All the same features as the Classic Man Bag, except a little larger and designed to hold Ipad, mini-computer or kindle. 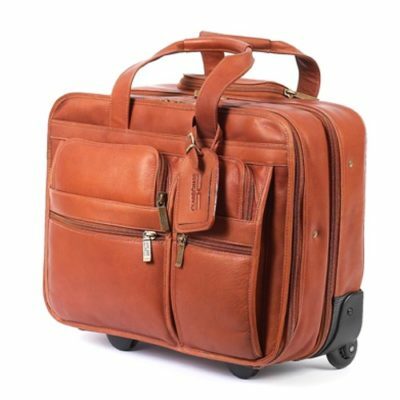 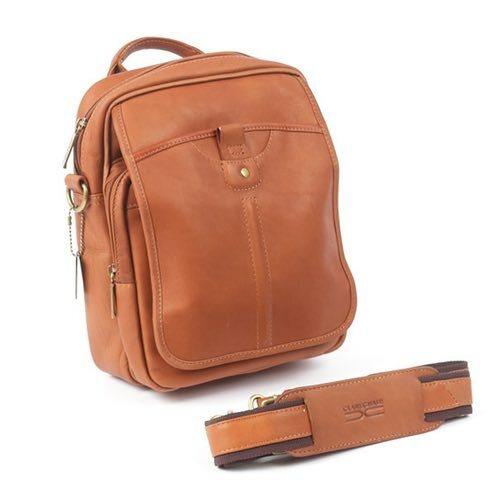 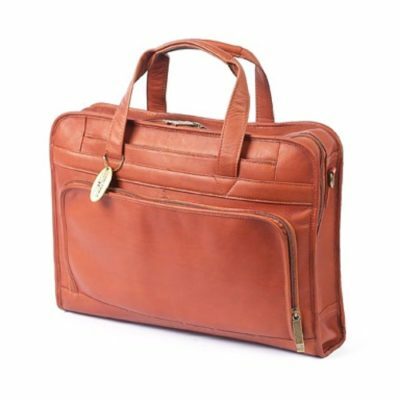 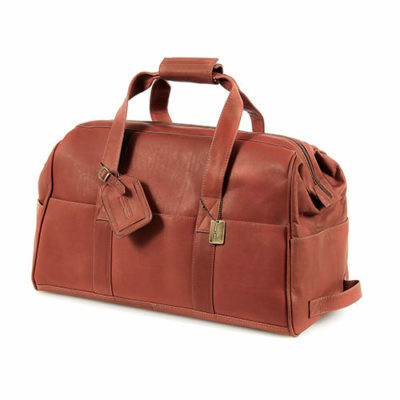 Extremely functional, easy to carry and made of top-grain Vaquetta cowhide leather. 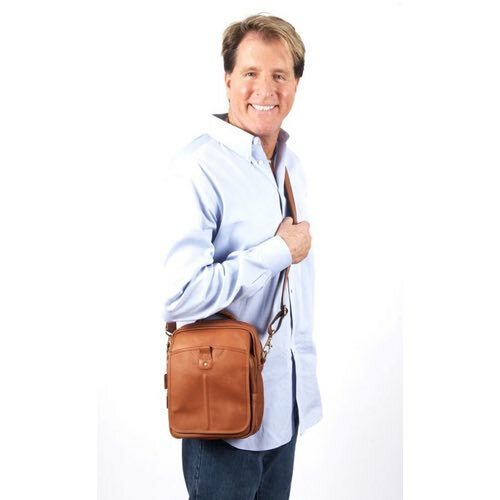 Detailed front flap includes a sleeve with a magnetic snap closure. 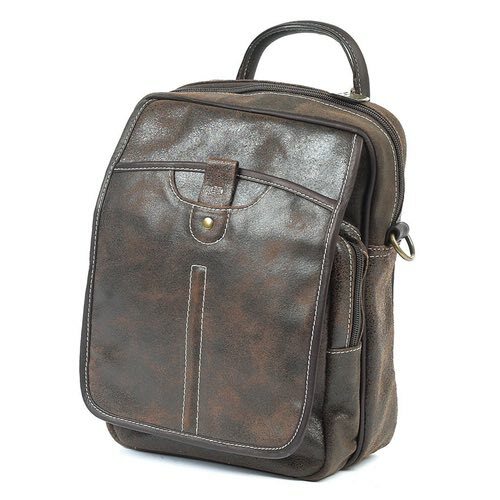 Backside features a convenient pocket with a 3” drop handle. 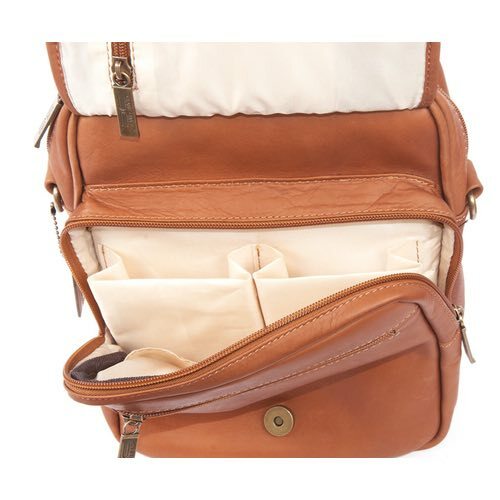 Lift the main flap to find four pockets to hold any and everything! 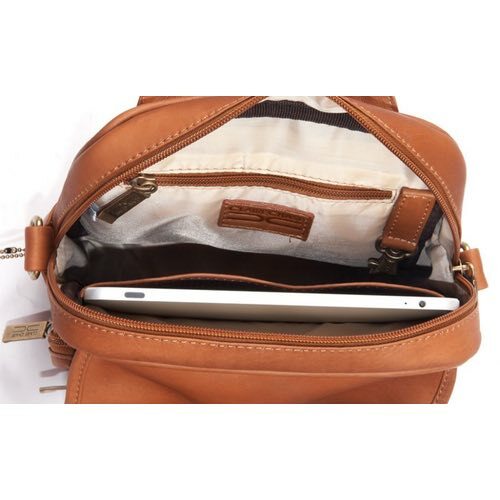 Includes three separate zippered pockets and an interior pocket to hold pens/pencils and more. 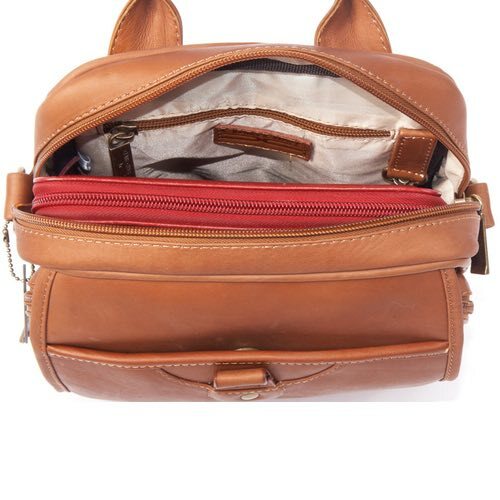 This works fabulously as a Camera Bag too! 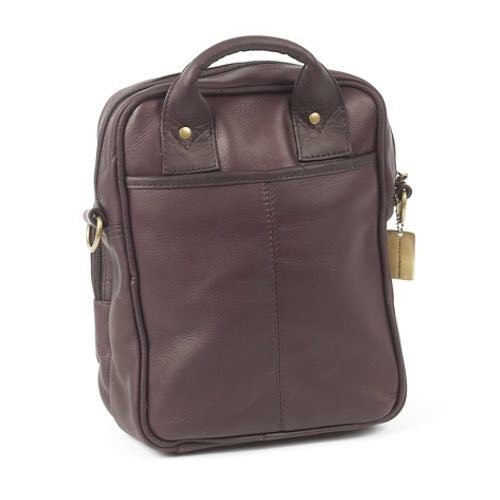 Large main interior is quite roomy and comes with a keyholder clip. 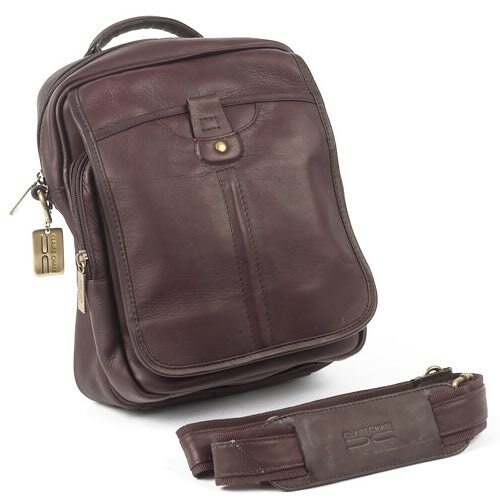 Beautiful removable nylon strap with a leather pad.